“The US claim that it does not seek to put pressure on the [Iranian] people and just wants to pressure the government and the Establishment is completely false and untrue, and they (US officials) themselves revealed this fact in their actions,” Rouhani said on Saturday. He said the fresh round of US sanctions imposed on Iran on November 5, 2018, has had no bearing on Iran’s economy, as Washington had already made every effort against Iranian people, and it had nothing new to put forward in the new round of sanctions. 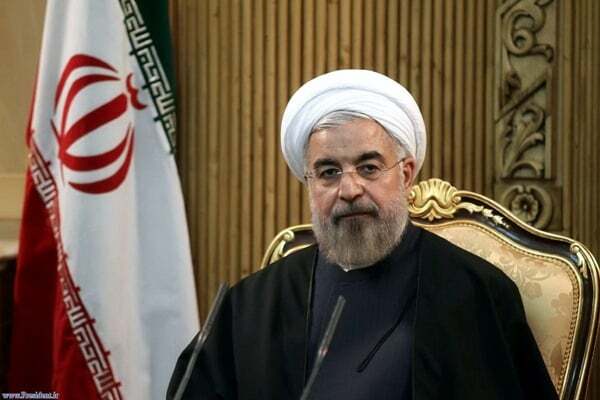 President Rouhani said the White House intends to launch a war of nerves against Iranian people. He referred to the waivers granted by the US to Iran’s oil clients, and described it as a treat from its earlier positions. He also pointed to the Trump administration’s move to exempt food, medicines and medical equipment from sanctions, and said the measure was taken under the pressure of public opinion, who harshly criticized the US for depriving the people from basic supplies. Elsewhere in his remarks, Rouhani said the US has not been able to bring Iran’s oil exports to zero as it claimed it would. “Recently, the Americans themselves confessed that they could not bring Iran’s oil exports to zero. Their argument was that if they brought Iran’s petroleum exports to zero, the oil price would rise to 150 dollars per barrel,” said the president. The US has granted waivers to almost all key clients of Iran’s crude oil for fear of further hikes in oil prices. The countries exempted from the US sanctions on Iran’s oil exports include China, India, Greece, Italy, Taiwan, Japan, Turkey and South Korea, which together took in over 80 percent of Iran’s oil exports last year.